LANCE CORPORAL JOHN DENNIS LEARY was born on July 8, 1948. He lived in Collingswood, NJ. He graduated from Collingswood High School in 1967. He played football, wrestling and track. He attended Camden County Community College for one year. Leary entered the US Marine Corps in April 1968, and attained the rank of Lance Corporal. 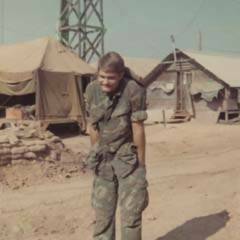 He was killed in an accident while serving in Vietnam on April 27, 1969. Leary is buried in Calvary Cemetery in Cherry Hill, NJ. Lance Corporal Leary was awarded the Bronze Star. "We called him Denny. He was a great guy. I am his sister and he was my hero. It seemed that everyone loved him. He was an athlete---played football for Collingswood High School (undefeated 1966). He was a wrestler and a track star. He was voted “best-looking” of his senior class and he was awarded the “Brooks Irvine award” in his senior year." Denny was someone I looked up to, for his selfless giving of his time, compassion, and non-judgmental help when anyone needed him. I think of him almost daily. It's a great loss to our community to be without Denny. When it was time to name my son there could be no other choice- John Dennis Ferguson. We were together in Vietnam briefly, along with Andy & John Hill and reminisced about our high school days, the Greatest years of our lives and bonded as brothers. I MISS HIM DAILY and dearly! Thanks Den. Denny kidded me about having the same nickname. He was so handsome, athletic, and a genuinely nice guy - his death in Vietnam was so tragic. My family and I visited the Wall in Washington but I was moved to tears and could not locate John Dennis Leary's name. 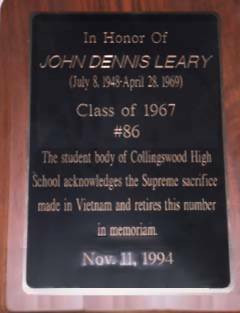 Denny will always hold a special place in the hearts of '67 Collingswood High School grads. We will always miss him. 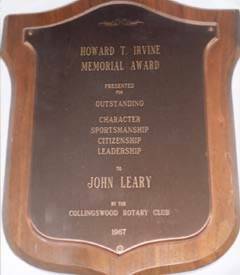 John 'Denny' Leary was a unique and outstanding friend, athlete, and a wonderful human being greatly loved by all who were fortunate to know him. He will always be remembered and missed by his friends from Collingswood High School Class of 1967. Only once in my life have I known someone who really cared about everyone he knew. Denny was that person. He didn't have to go out of his way to treat someone well, he did it naturally. I feel privileged to have known him and to be able to call him friend. His loss has been with me for over 30 years now, and I still feel that I would have rather paid his price while I was there than the world loss his special gift. 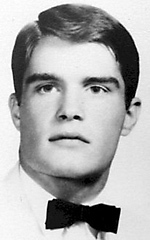 "Denny", though not a close friend, was an admired classmate and is missed along with Jay McCarthy who also gave his life in service to his country. This is written on 2/1/03, the day we lost seven Space Shuttle heroes. Sent to serve, home in our hearts. 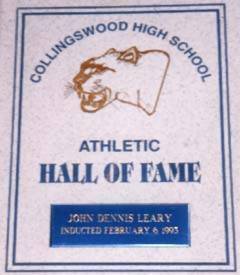 I was a teacher/coach at Collingswood Junior and Senior High School. I only have good memories of Denny. He had an outstanding sense of humor and was always respectful of me. We laughed at a lot of crazy things he did. I can still see his face right now. He is sadly missed but always remembered. Rest in peace.